Full of promise but long constrained by a diverse set of obstacles, biometrics — or the use of body or physical characteristics for secure authentication and identification — has not yet lived up to the hype.Yet, lest we let 2007 slip by without the required declaration, let it be know that, indeed, this may well be the year biometrics takes hold on a broader scale, particularly its uses in security applications. For example, technology from Pay By Touch is being used in retail grocery chain Piggly Wiggly to allow customers to pay by simply providing their phone number and touching their finger to a fingerprint sensor. If the two match, it will automatically perform a transfer of funds to the merchant’s account using electronic check clearing.The result? For the merchant, fewer fees to pay on credit and debit transactions, less need for managing cash and faster checkout lines. For the customer, quicker checkout, the ability to shop wallet- and PIN-free and what Hamilton calls “the benefit of anonymity,” which reduces the chances of identity theft by virtue of the fact that shoppers no longer have to present a card. Allan is skeptical that retail point-of-sale systems like Pay By Touch will achieve widespread adoption in the near future, largely because of consumer attitudes. Interestingly, those consumer attitudes toward biometric technology seem to be very culturally based, with acceptance rates much higher in some countries than in others. There was also an early trend, Skaff explained, in which notebook manufacturers got “too enthusiastic” about what they could let users do with fingerprint technology, with the result that users got overwhelmed and confused. “In our current discussions, we’re trying to figure out which are the right applications to use the fingerprint readers,” he said. Unlike DigitalPersona’s use of fingerprint scans, the U.S. government now uses them in such a way that fingerprint images are saved. Specifically, the Department of Homeland Security now requires that foreign visitors to the United States who arrive via air or sea have their fingerprints scanned for national security purposes, and when that is done, the fingerprint image is saved, Skaff said. Another consumer-facing application of biometrics currently in use today is in banking, as a replacement for PINs and ATM cards. In Korea, a number of banks are using fingerprints for these technologies, whereas in Japan, vein patterns seem to be preferred, Gartner’s Allan said. Fingerprint sensors can be fooled, he explained — at least theoretically in test situations — but it’s near impossible to replicate the pattern of veins in an individual’s hand. In addition, vein readers are noncontact — that is, they work without requiring that the user touch them — which is particularly attractive in a country like Japan, Allan noted, where cultural attitudes often make people averse to touching things that have already been touched by others. Other consumer uses of biometrics include biometrically enabled smartphones that serve as electronic wallets, smart door locks that require the right fingerprint before they’ll open and turnstyles at Walt Disney parks, Hamilton added, which now link tickets with ticketholders’ fingerprints to prevent fraud such as sharing of tickets. In Nigeria, voters in this spring’s elections will be required to verify their identity by using their fingerprint. In preparation, some 10 million citizens are now having their fingerprints scanned, according to Skaff. 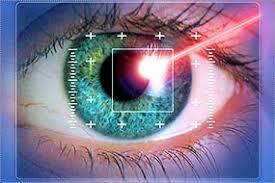 Enterprises are also increasingly making use of biometric technologies internally, particularly for access control. While Gartner currently estimates adoption is less than 20 percent of corporations worldwide, it predicts that in two to three years, that will increase closer to one third. Smart cards and one-time passwords, meanwhile, will reach about 50 percent adoption, Allan said. One example on the enterprise side is the use of voice recognition for automatic telephone-based password reset systems, allowing corporate users to reset computer passwords without having to involve help desk staff. In the government, a personal identity verification system is currently being implemented that will require all federal workers and contractors who require unescorted access to present a smartcard with a chip on it that includes two fingerprints, Hamilton said. Once it’s in place, he estimates it will touch 6 million military staff and civilians. It’s a diverse area in which a number of widely varying vendors and technologies are all grouped under the umbrella term “biometrics,” and a frequent mistake is to assume they all involve similar pros and cons, Allan warned.